Hi all, I know this maybe a redundant question but I've been goggling and information is unclear. I design jewelry but I have this bracelet and was wondering if it pays to remove the stones and reset them in a new mounting. I can probably buy new amethyst for next to nothing but these maybe rarer and thus will pay to reuse them as they are in perfect condition. The bracelet is probably from the 1960 maybe earlier that has 9 approx 3/4 -1 ct heart shape faceted amethysts. Bought second hand in the 70's and never gave much thought to the stones until one day I was in a store that deals with colored stones and the sales women asked me if it was Alexanderite? I immediately replied NO it's Amethyst but it changes color depending on the lighting. 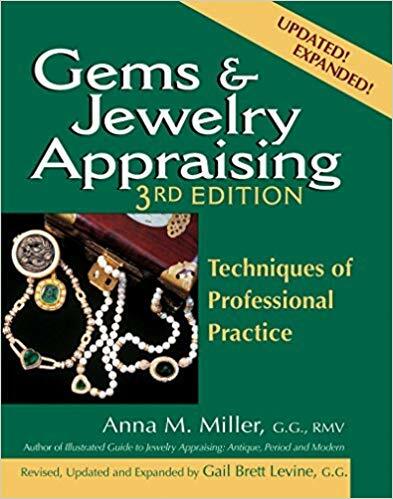 Over the years I never gave it much thought to grading it thinking it's just a semi-precious stone that had little value until recently when I started researching it on line. Ok so here's the description of the stones and if anyone can help me I would appreciate it as I think they maybe Serbian/Russian. The stones have a very deep purple intensity but clear thru. There are some darker veins but no inclusions. in Daylight they are a deep purple with a blueish cast with flashes of deep pink/magenta. in incandescent lighting there almost pigeon blood with magenta the predominant flash's and flecks of blue but if I hold it up to look thru the stones away from the light source it's prominently deep Blue? I have no idea what the gemstones might be, but they are not amethyst. I would have them checked by a competent gemologist. 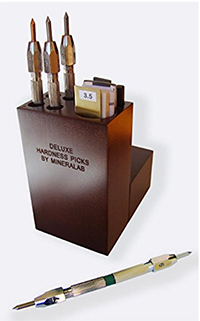 Gems can only be identified when they are seen in person and subjected to optical tests. 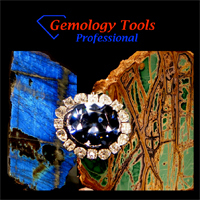 As Bruce said, bring them to a professional gemologist. Hi, with regards the colour change gem. I am a gemcutter, and also sapphire miner in Qld, Australia, where we find some pretty special colour change sapphires in the area I mine. I sometimes cut special stones for clients, and at the moment have just finished a 9ct brilliant cut,with identical colour shift to which you describe. It is synthetic corundum, and is a spectacular stone, however, to my knowledge, this intensity of colour shift is not something that is usual in sapphire. Holding the boule of rough, it is easy to see the blue to purple change, and now the stone is cut, much more subtle shift occurs. Alexandrite,yes, a very defined shift blue/purple, but very rare. The synthetic colour change corundums have been around for a very long time, as far back as early 1900's, and I'm sure the working jewellers of the day chose affordable stones, and much synthetic was used. Hope this helps in your quest for an answer.